Not every game was invited to the Nintendo Entertainment System’s reunion party. Nintendo launches the NES Classic Edition on November 11 for $60, and it will come with 30 games from the classic console’s library built inside the miniature version of the system. This is another example of nostalgia becoming a big part of the industry, as aging gamers look for ways to reconnect with the digital experiences of their youth. Often the solution is just to sell digital copies of retro games or bundle them together in packages for newer systems. The NES Classic Edition is instead is a tiny take on the original console, one that revitalized the game market in 1985 after the 1983 crash. The NES, however, had many more than 30 hits. While you can count on the Marios and Zeldas to show up, some of the console’s best games didn’t make the NES Classic cut. So let’s give a spotlight to the best NES games that we won’t get to enjoy on the adorably tiny machine. Capcom released six Mega Man games on the original NES, and they all ranged from good to fantastic. Mega Man 2 did make it into the NES Classic library. For a lot of fans of the 2D side-scroller series, this is the best one thanks to its superb level design and memorable soundtrack. But I’d rather see Mega Man 3 in there. Like Mega Man 2, the third game that stars the iconic Blue Bomber has some of the best platforming, bosses, and music of any game released on the console. Mega Man 3 also stands out thanks to its inclusion of a slide mechanic, the robot dog Rush (who can turn into a submarine! ), and Mega Man’s mysterious brother, Protoman. Sure, you can play both games in the recent Mega Man Legacy Collection, but I still stings to see my favorite game missing from a machine celebrating the NES. 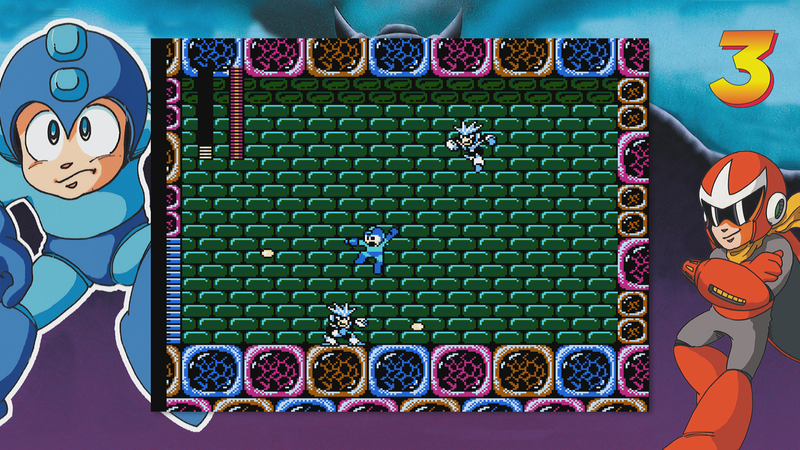 Above: Mega Man 3 did at least show up on the Mega Man Legacy Collection. Why it didn’t make the cut: Few NES series have more than one game in the NES Classic library. Nintendo likely only wanted to put one Mega Man game in there and decided to go with the crowd favorite. This is another classic 2D platformer from Capcom, and one of the best licensed games ever. Scrooge McDuck uses his cane to bounce across enemies, spikes, and pretty much everything else, all while collecting gold and jewels in a noble quest to become ridiculous rich. Oh, and it also has one of the greatest video game songs of all time. You could play that fancy-shmancy remastered version of DuckTales on PlayStation 3, Xbox 360, Wii U, and PC, but I know I still prefer the original in all of its pixelated splendor. Above: The majestic moon fowl. Why it didn’t make the cut: Nintendo probably didn’t want to have to deal with the hassle and cost of putting licensed games on the NES Classic. Battletoads is one of the most difficult games ever (damn those speed bikes), but its brawling action is some of the best you’ll find on the NES. It’s also one of the system’s greatest two-player games. It helped establish Rare as a leading studio, and it go on to create classic Nintendo games like Banjo Kazooie and Goldeneye. Why it didn’t make the cut: These days, Microsoft owns Rare. 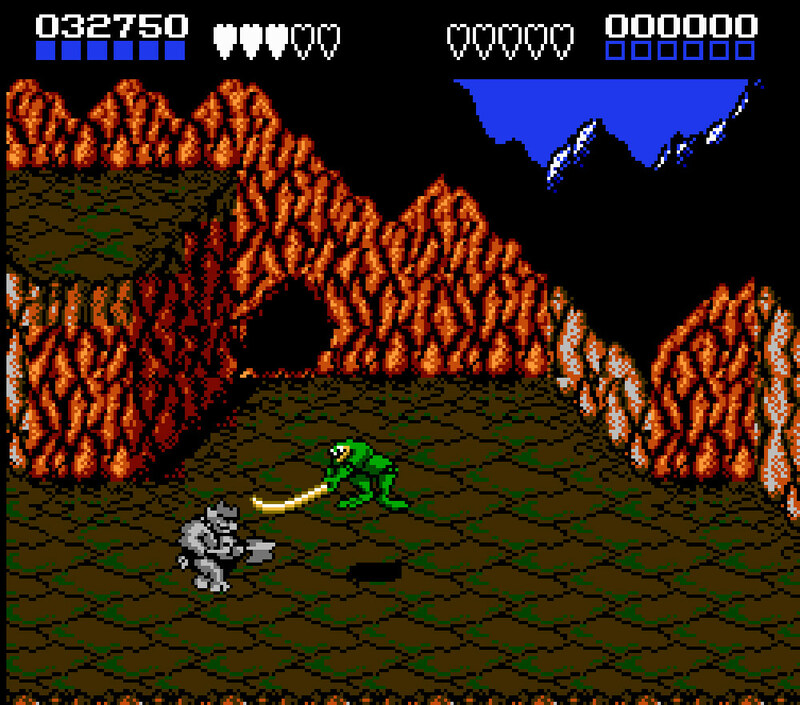 The company even included Battletoads on its recent Rare Replay collection for the Xbox One. It’s unlikely that Microsoft would agree to any deal allowing that same game to appear in a Nintendo product. The first Castlevania and its sequel, Simon’s Quest, are on the NES Classic. But where is Dracula’s Curse, the best of that series’ NES games? 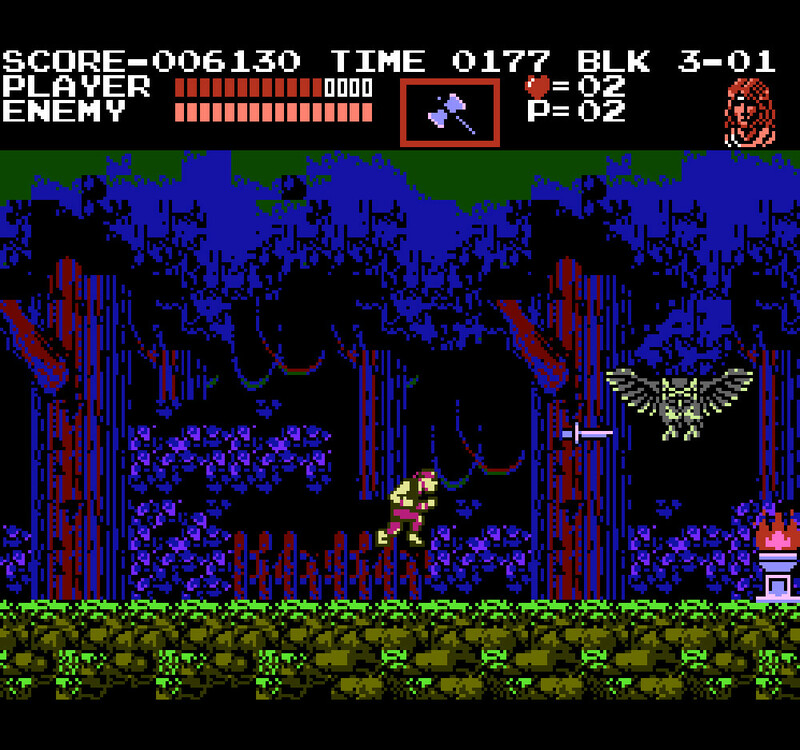 While Simon’s Quest went too far with its confusing nonlinear gameplay, Dracula’s Curse was a return to pure 2D platforming that we loved in the original Castlevania. It also added variety letting us play as different characters, including future Symphony of the Night star and Dracula offspring, Alucard. Above: We don’t need no stinking whip. Why it didn’t make the cut: Again, Nintendo probably didn’t want to put too many games from the same third-party series on the NES Classic. Still, I wish Dracula’s Curse was in there instead of Simon’s Quest. 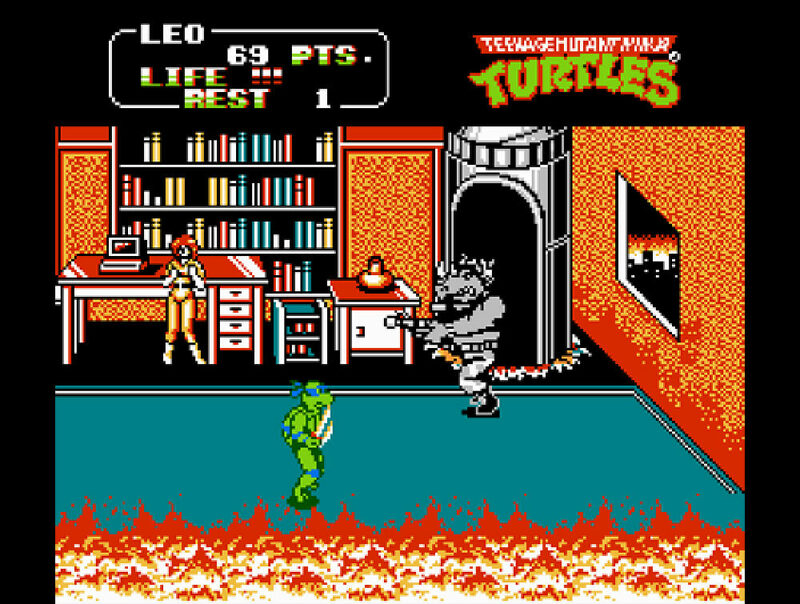 The first TMNT game on the NES is a frustrating platformer, but the sequel is actually based on a beat-’em-up arcade game from Konami. If you ever played Turtles in Time for the Super Nintendo, this is the same kind of thing. It’s filled with characters that ’80s kids like me remember from the original TMNT cartoon (Beebop and Rocksteady! ), and it’s another classic two-player game for the NES. Above: Of course, you’re saving April. 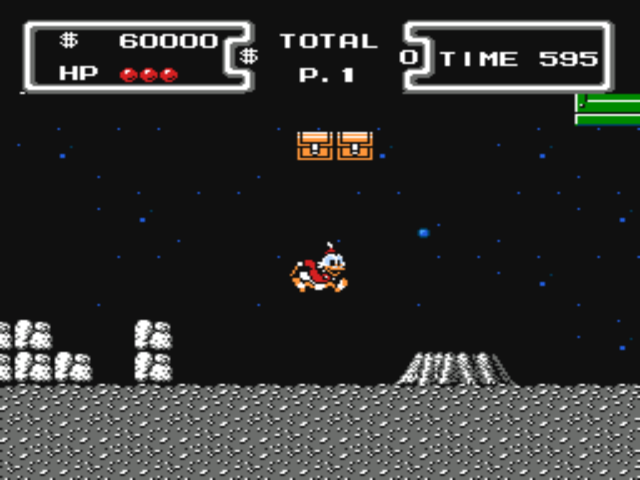 Why it didn’t make the cut: Just like with DuckTales, Nintendo probably didn’t want to deal with licensing headache of putting a Turtles game on its NES Classic.